An important insurance bad faith decision out of a New York appellate court clarifies important Court of Appeals precedent regarding the bad faith pleading standard, while also clarifying a number of issues that the courts have never addressed, including consequential losses and attorney’s fees. Even though decided in New York courts, this is an important decision to all insurance companies when it comes to setting precedent for bad faith claims, as we discuss in greater detail below. The case started with property owners filing an insurance claim for direct damage and physical loss to their property as a result of construction work done in the adjoining building. According to reports, the property owners filed a claim with their insurance company, National Union Fire Insurance Company, which did not respond or pay the claim. According to them, National Union, instead “made unreasonable and increasingly burdensome information demands” with the hopes that the owners would drop the claim entirely. As a result, the owners filed claims alleging breach of contract and of the implied covenant of good faith and fair dealing. 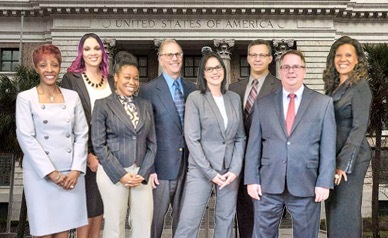 While the Supreme Court dismissed the claim, finding that the property owners failed to specify how consequential damages were foreseeable to National Union when they entered into the contract, the First Department appellate court reversed this decision, and in doing so, effectively changed the minimal pleading standard required for bad faith claims when it comes to what a plaintiff must specify in alleging how consequential damages were reasonably foreseeable. According to the decision, the division effectively found that all the plaintiff has to do is state the types of consequential damages and that they were reasonably foreseeable instead of explaining why the damages were reasonably foreseeable. 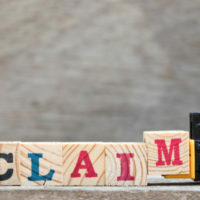 A number of insurance companies around the country, including those in Florida, have effectively argued in the courts that these types of claims are duplicative of breach of contract claims, and should be dismissed. What this decision does is essentially separate the two claims—breach of contract and bad faith managing of an insurance claim—making it clear that both can be brought on their own, irrespective of each other. This is important because it is the first decision that helps clarify what previous court decisions meant regarding what the bad faith pleading standard entails, while also arguably recognizing specific types of damages and losses that were not previously recognized. At HD Law Partners, our insurance carrier attorneys have represented a number of companies that have had bad faith claims brought against them. Contact our Florida bad faith defense attorneys today to find out more.